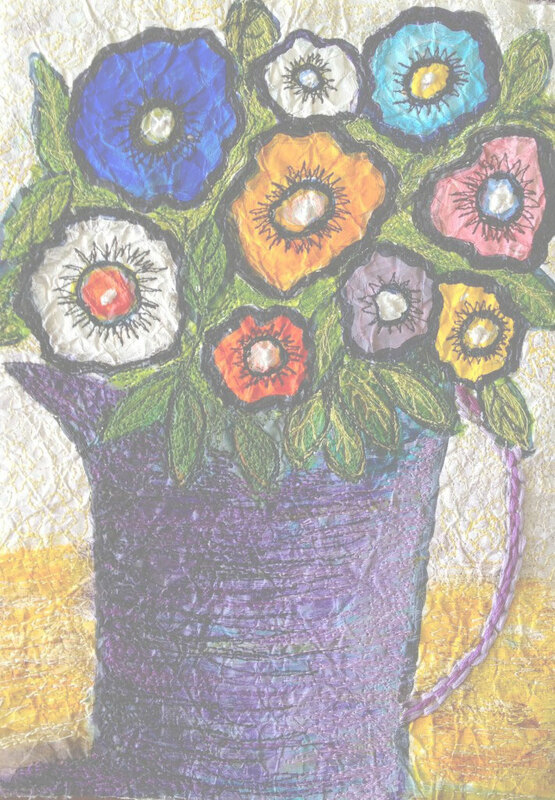 Description: This piece of fabric art is quilted through burning of the fabrics to each other and then stitched. All of the fabrics are hand dyed and machine and hand stitched. Artist’s Comments: This piece is one of a series of burned and melting of synthetic and hand dyed fabrics.